The debate over folates and their effect on the body continues to create international interest. 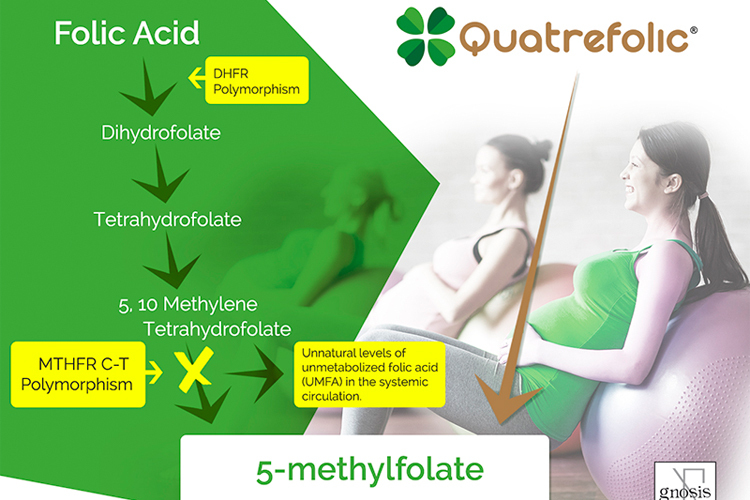 There are many studies that have analysed their metabolic fate, efficacy, and safety, in particular between the 5-methyltetrahydrofolate (5-MTHF), the biologically active form, and the folic acid (FA), the synthetic derivative 5-MTHF, i.e. 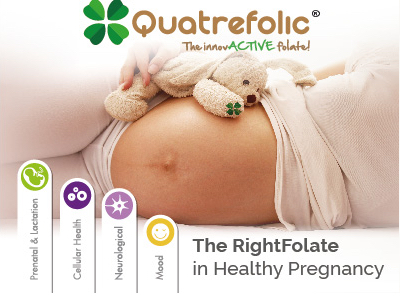 Quatrefolic®. 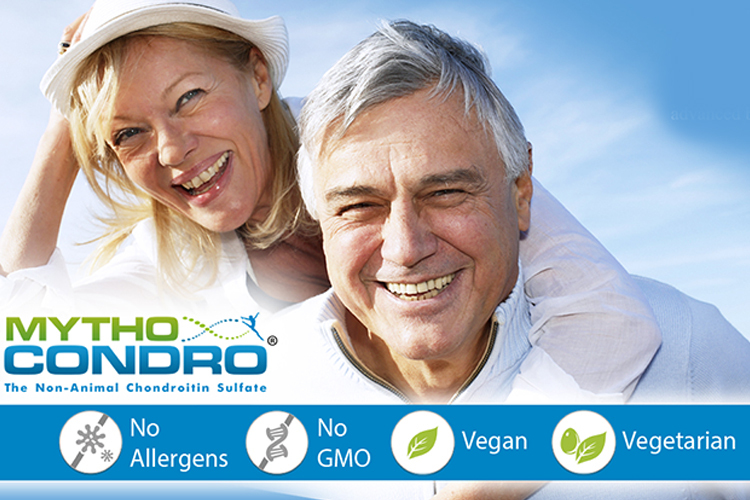 Studies show that the synthetic derivative has some positive effects on human health because the circulating bioactive folate does not need to be metabolized. The potential role of uncontrolled consumption of folic acid by general populations through supplements or fortified foods (after the mandatory fortification of white flour operated in some countries including the USA) is of crucial interest. Published data suggest that a direct correlation exists between FA intake and the presence of detectable amounts of unmetabolized FA (UMFA) in blood, without clear health consequences. Moreover, there is mounting evidence to suggest that FA can impair the transport of 5-MTHF in the body. One study of Page et al. 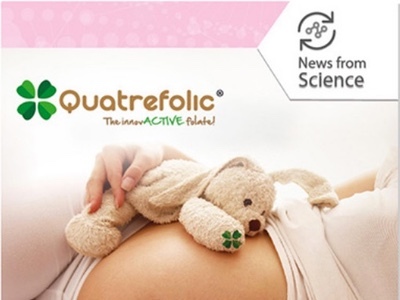 shows folic acid disturbs 5-MTHF metabolism, lowering its levels in breast milk. 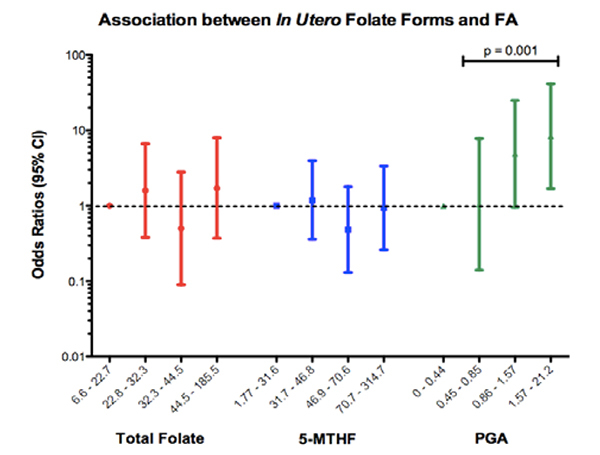 Breast-milk total folate, UMFA contents and their relation with FA-supplement use and doses, have been determined in a cohort of Canadian mothers who were enrolled in the MIREC (Maternal-Infant Research on Environmental Chemicals). UMFA was detectable in the milk of 96.1% of the women. Breast-milk total folate was 18% higher in supplement users than in non users, a difference driven by women consuming 400 µg FA/d. The research group concluded that intakes exceeding the recommended FA intake of 400µg/d are supraphysiologic with no clear benefit. Therefore, higher-dose FA-supplement use may not be warranted, especially in populations for whom FA fortification is mandatory. It is notable that lactating Canadian women who consume FA from both FA-enriched foods and vitamin supplements are likely to exceed the Tolerable Upper Intake Level of 1000 mg FA/d. The presence of unmetabolized folic acid (UMFA) in the circulation is nearly ubiquitous in areas where FA fortification is permitted. The second paper of Smith et al. shows that folic acid inhibits 5-MTHF uptake into vascular cells. Under folate deficiency, elevated plasma levels of homocysteine were held responsible for endothelial cell injury and cardiovascular disease. However, there is probably an important direct role of reduced folate 5-MTHF in maintaining vascular tissue integrity and functionality. 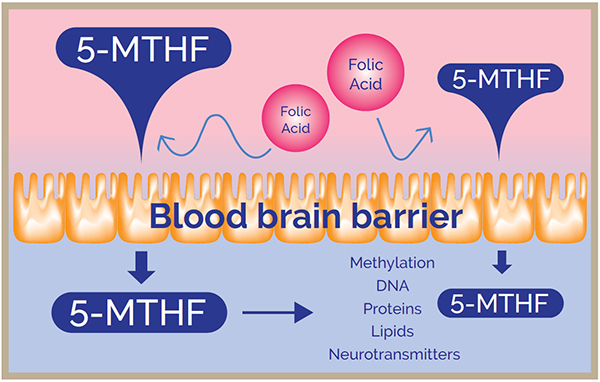 According to the results, FA has the ability to inhibit the uptake of the naturally occurring, bioactive folate 5-MTHF in endothelial cells through a mechanism that presumably involves interaction with the folate transporter PCFT. As FA consumption leads to UMFA in the plasma, this might affect endothelial cell folate status, which is of potential concern. 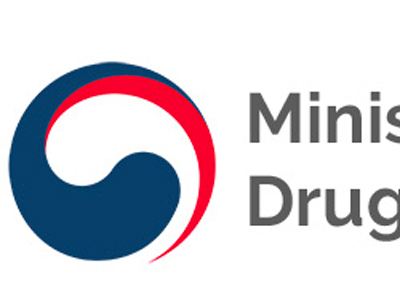 The study provides the initial necessary proof-of-concept that UMFA interferes with endothelial cell uptake of the circulating bioactive folate 5-MTHF because it occurs in the plasma of subjects taking oral FA supplementation. This compromises intracellular folate pools.